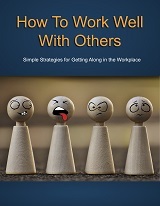 Working well with others is crucial in any situation. However, it's even more important in a workplace environment. Why? It boils down to things like efficiency, productivity and employee morale... just to name a few.